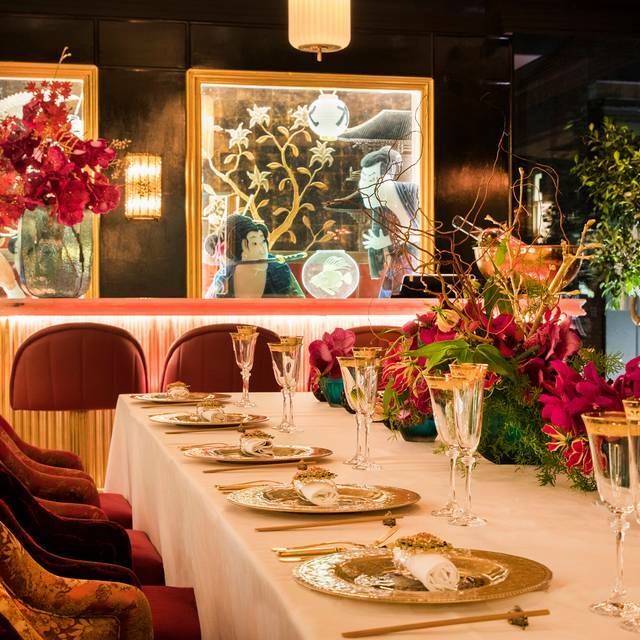 Situated on the second floor, The Geisha Room at Ivy Asia accommodates 18 guests on one long table or 20 guests across two rounds of 10. 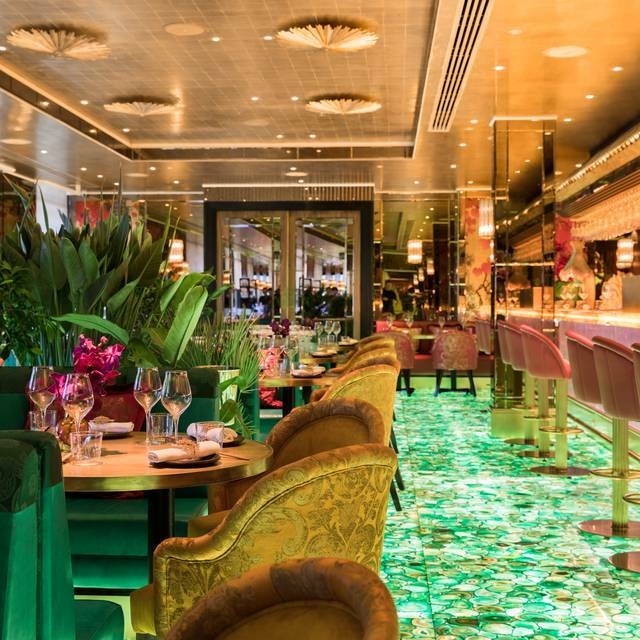 The private room features a striking pink onyx bar, sumptuous furnishings, colourful Asian-inspired fabrics and a gold leaf ceiling, all set against breath-taking artwork in floor to ceiling mirrors. 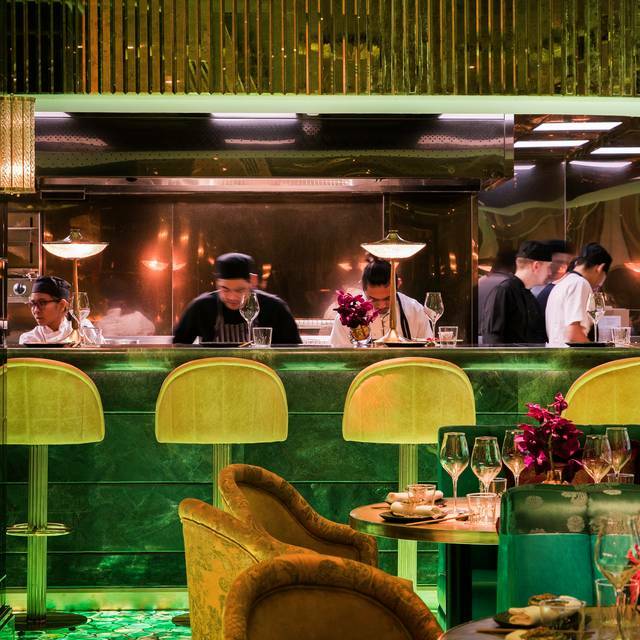 As with Ivy Asia restaurant and bar, The Geisha Room offers Asian-inspired cocktails alongside dishes such as Wagyu beef with truffle sauce, salmon fillet teriyaki, and avocado, crispy tofu, lime and ginger dressing. A lovely welcoming restaurant with ornate decoration and friendly, helpful attentive staff who helped us with menu choices and looked after us very well. The attention to detail on every dish we were served was exceptional. 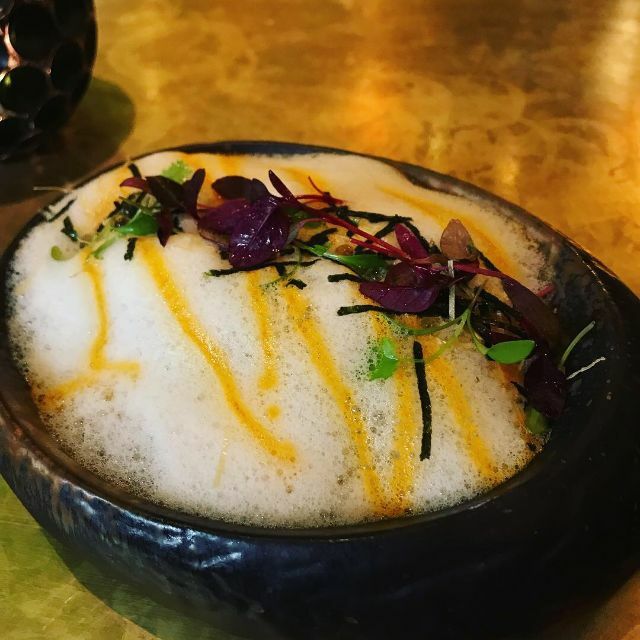 We all agreed that our favourite dish was the Prawn Steamed Dumpling although we could not fault any dish we had ... we will definitely be returning! We attended the ivy for my husbands birthday. We were greeted by friendly staff and everything was explained, really well! Music just slightly too loud on arrival but we asked if it could be turned down and they did immediately. Food was great, service was excellent and the decor was beautiful. We sat around 8.15pm and had an amazing time. From the doorman to the front of house and servers, everyone was attentive, helpful and lovely. The food was INCREDIBLE. We had three smaller plates to share and then shared one curry and one rice between the two of us, which was plenty. Highly recommended. Service is mediocre but I’m not surprised because the English aren’t known for catering and customer service. We had a cocktail at the garden and there were 6 staff members in their own world and maybe 15 guest upstairs max. Someone finally took our drink order which took extra time to make. perfect venue, the staff were amazing and the food was exquisite. One of the best dining experiences I have ever had. Every dish was amazing, the service was faultless. From the moment you first walk in until you leave, the level of customer service was second to none. I will most definitely be attending again. Cannot praise Ivy Asia enough, absolutely brilliant, 110%. Amazing service and food, good vibe and feel to the place Highly recommend will definitely be returning soon! Fabulous venue! Will definitely be returning! Food was delicious, staff welcoming and happy to serve.....fantastic! The Ivy group of restaurants are the best value for money, superb food & great service. The Ivy Asia was fab, loved everything about it. Attended 14/4/19, table of 7 lunchtime. The waitress (sarah) was amazing, couldn't do enough for us and very friendly. Didn't bother us unless needed (something that personally bothers me when its repeated interruptions). The food was fantastic, can honestly say the tastiest meal I've had to date. 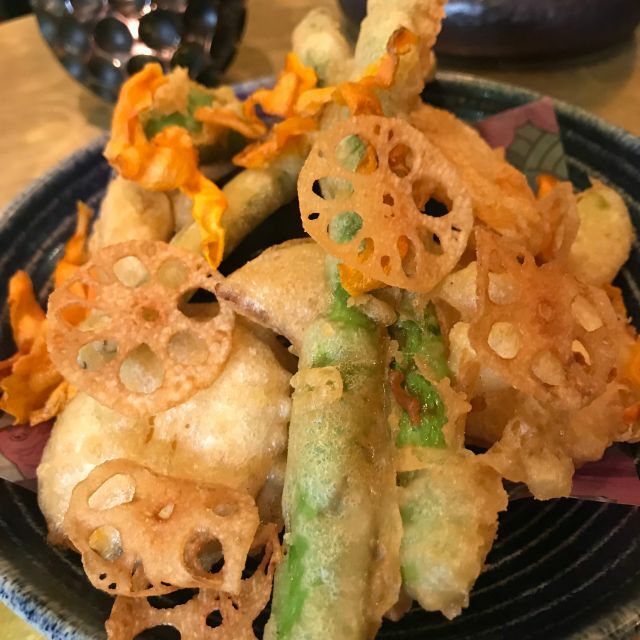 We tried many things on the menu, but my personal favourites were the chicken gyoza, asparagus skewers, crispy squid and the popcorn shrimp. Everything was very fresh and full of flavour and arrived promptly for a table of 7. The bar staff were cheerful, friendly and open to experimenting with recipes. Plenty of choice of alcohol. Nice soft music in the background (perfect for us lot being hungover!). 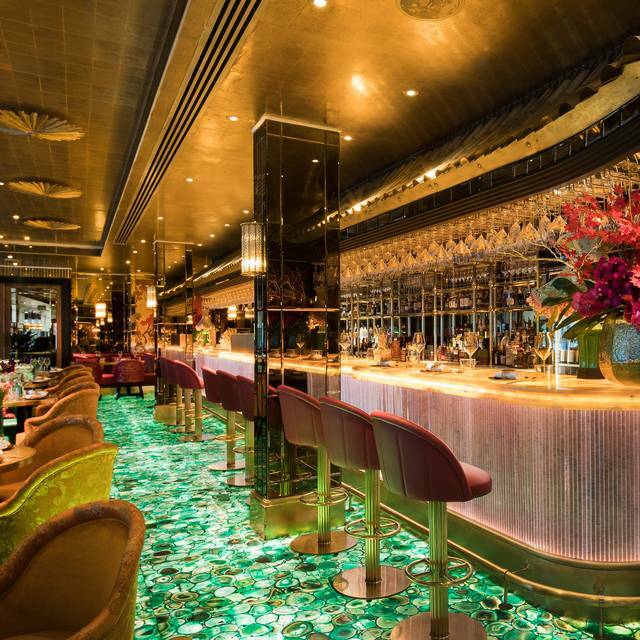 The decor is absolutely stunning, many photos were taken even down to the ceilings in the loos, elevator doors, chopstick holders and oh my gosh the floor!!! 😍 Have already made plans to return and will definitely make a repeat journey for any special occasion even though we live over 2 hours away. All in all a 10/10 for experience, quality, taste and staff, it is thoroughly recommended. Make sure you try as much as possible and would definitely agree with the waiting staff; allow for 3 dishes per person. You wont be disappointed with this place. The food was fantastic, as was the service, however we did find this restaurant very noisy and we were unable to have a reasonable conversation without raising out voices to be herd, (on our date night) I think the table we was given was right next to the ivy walkway where people were constantly taking selfies of themselves which was off putting ... I think the optional service charge is a bit wrong when it’s actually added into the bill total. Really should be as it says optional! Which is off putting .i would happy tip well where we go but I find it wrong to ask for service charges where people may find the experience may not always be worth the extra charge. As we were sat near the bar a large crowd came in, then it started to be very noisy. 2 hours is not a long time in the resturant, although understand covers are important. Lovely evening although not sure adding standard 17.5% service charge onto the bill automatically is appropriate. Love the Asia room! The place is absolutely stunning, great interiors, and the food is delicious! Food was delicious, great atmosphere, fantastic service from the waitress and particularly the bar staff. Wrote on the booking that we were celebrating my boyfriends birthday. This wasn’t acknowledged at all throughout our whole evening which was disappointing. But couldn’t fault anything else. Pity because it is a really good restaurant. Fantastic decor and great service at the bar. However, the dinner was not as pleasant as expected. Food was delicious but the waiting time between dishes was too long, which did not correspond to a dinner experience but rather like we had like two dinners. Moreover, the waiter pushed us to order 6 dishes for 2 people as « it was the concept at Ivy Asia », which was finally largely too much. And the steamed rice was not cooked, which is quite outstanding for an Asian dinner restaurant. We were not charged for the rice. But it should be embarrassing for the cooks. We will definitely come back anyway to give it a second chance. We weren’t charged a penny for our meal as it was so bad & were told the manger would personally contact us the next day which was yesterday but hasn’t !! 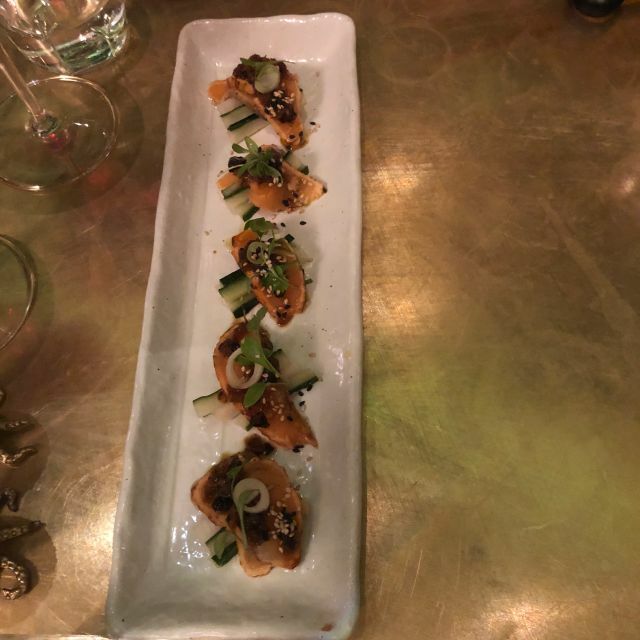 The girl that served us was fantastic & they couldn’t have been more apologetic but the food was abmismal , I would not eat in the Asia again , having eaten twice in the Bras & had no issues we expected great things but not to be ! Have a table for 9 booked on Jun 1st & we will most definitely cancel , all fur coat & no knickers unfortunately ! Great experience, fantastic food and friendly staff. Had a bad experience downstairs at the original Ivy last time round, however reluctantly decided to give the Ivy Asia a go this time. Very glad we went, the food was superb. A job well done in redeeming itself after last time round which was one of my worst dining experiences to date at the main restaurant. However I would definitely recommend the Ivy Asia and it seems that after a frantic opening the restaurant may have found the right staff for the job. Visited 7th April - Sakura Sunday, in celebration of Cherry Blossom Season, We enjoyed in style by sipping on cocktails from our exclusive cocktail list, created using the finest ingredients from The House of Suntory including Roku Japanese Gin and Haku Japanese Vodka. 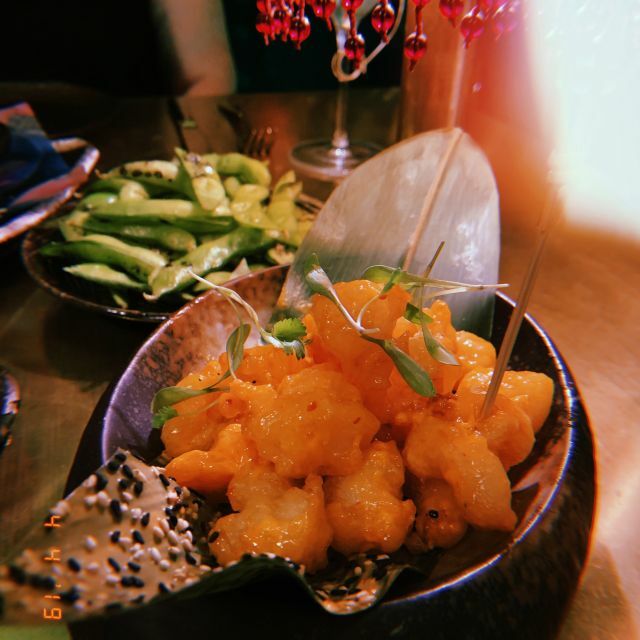 We were delight with Spicy Edamame, Dumplings, Prawn & Chive Nori, Duck Bao Buns, Kimchi Rice, Popcorn Shrimp and Beef Sirloin. Whilst, having a fabulous DJ to listen to with (of course...) Prosecco......and many thanks to the fantastic staff especially Sarah, she gave us 120%, making our day unforgettable. Management please thank her personally from me. You have fabulous staff.....last 4 times I visited Urie and the manager were outstandingly brilliant. Had a lovely experience at Ivy Asia. We went for lunch and not only is the decor and ambience beautiful, the service was amazing too. Our waiter was so attentive and even gave a complimentary glass of fizz which we just felt was a really nice touch. Food was delicious and we will definitely visit again! Fantastic food, decor and atmosphere! I would highly recommend here and can’t wait to go back! From the moment you walk through the doors with the polite green men assisting you knew it was to be special. And so it was. The Asian bar was just as one imagines an Asian bar to be. Shades of Raffles in Singapore. Glorious service. Glorious cocktails. The table was set. We were looked after superbly with just perfect business and attention . All the food was perfect without exception. The deserts were exceptional. A memorable birthday evening which we hope to repeat VERY soon. Next time the Roof Terrace just to complete the set! Really enjoyed the food and the decor is beautiful however the atmosphere was noisy and the dance music did not suit a restaurant environment. Did not feel relaxed and the experience felt rushed. Service charge also included in drinks at the bar. Was super excited to attend Ivy Asia, after a fab dinner at the roof garden a couple of months before. Can not fault the food and the service was great but the bar was crowded and load! What is meant to be a high end venue, that people wait weeks/months for a table, seemed more like an average bar that serves food on the side. 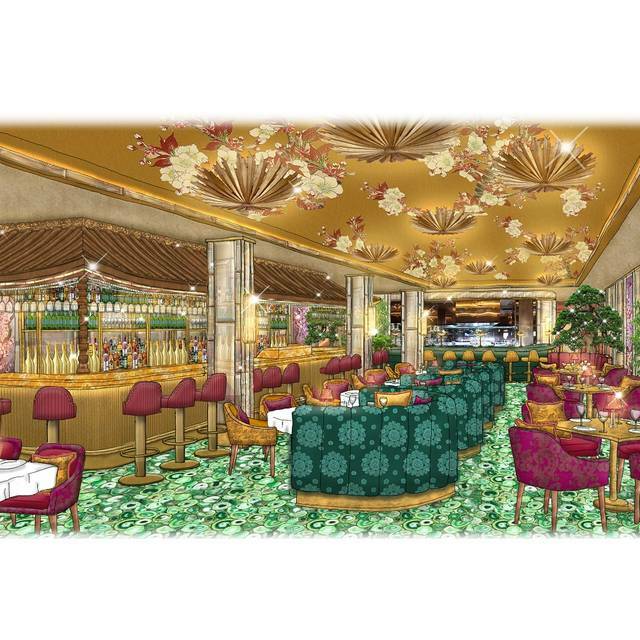 My advice would be to open an Ivy bar, serving all signature drinks and separate to the restaurant!